ROCK ISLAND, ILLINOIS (07/12/2018)-- Augustana College announced more than 1,000 students were named to the Dean's List for the 2018 spring term. Students who have earned this academic honor have maintained a grade-point average of 3.5 or higher on a four-point scale for courses taken during the term. 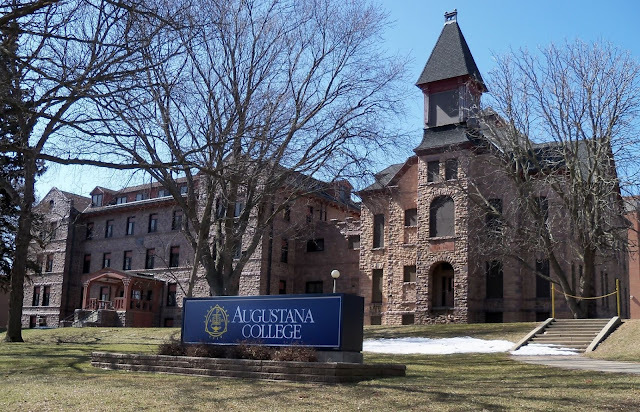 Founded in 1860, Augustana College is a selective four-year residential college of the liberal arts and sciences. The college is recognized for the innovative program Augie Choice, which provides each student up to $2,000 to pursue a high-impact learning experience such as study abroad, an internship or research with a professor. Current students and alumni include more than 170 Academic All-Americans, two Nobel laureates, 13 college presidents and other distinguished leaders. The college enrolls 2,600 students and is located along one of the world's most important waterways, the Mississippi River, in a community that reflects the diversity of the United States.